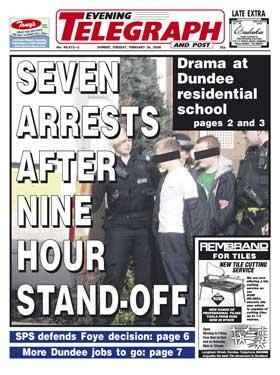 Three of the 86 regional daily newspapers in the UK put on circulation year on year in the last six months of 2010. The three circulation growers were DC Thomson’s Dundee Evening Telegraph, which rose 3.4 per cent to an average sale of 23,331 copies a day and Archant’s two Norfolk Dailies: the Eastern Daily Press (up 0.4 per cent to 59,389) and the Evening News (up 0.5 per cent to 18,923). Elsewhere the print circulation market remains extremely tough for regional dailies – with the average rate of decline running at 6.5 per cent year on year. The UK’s biggest regional newspaper title remains the family-owned Express and Star in Wolverhampton, which put in a comparatively strong circulation performance with sales dropping just 2.8 per cent year on year to 116,992. Number three title, the Trinity Mirror-owned Liverpool Echo, also performed well dropping just 1.5 per cent to 87,198. The Manchester Evening News maintained second place in terms of distribution because one third of its 93,348 average daily sales are free copies. In terms of paid-for sales it is now in fourth position just ahead of the Dundee Courier and Advertiser Series. Among the biggest fallers was the Johnston Press-owned Yorkshire Evening Post, which fell 12.7 per cent to 39,114 and Independent News and Media’s Belfast Telegraph, which dropped 11.7 per cent to 58,491.